Fall is my favorite time of year. Growing up we would make the biggest pile of leaves and just run and jump in. We had the best time and this would entertain us for hours. We would then do it all over again the next day. Full of laughter and smiles, that is how I remember my childhood! Do you have a favorite childhood memory of the fall season? 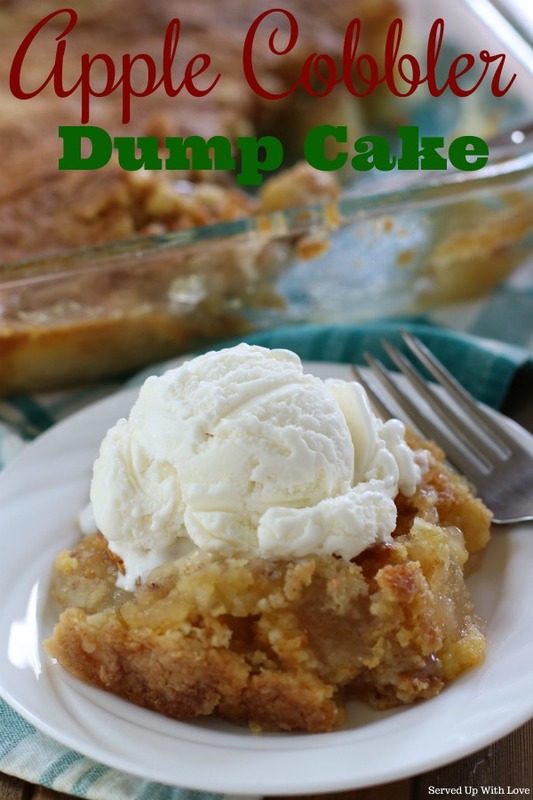 Have you ever made a dump cake before? I know the name doesn't sound appealing but basically it gets its name by just dumping all the ingredients together and topping with a cake mix. Up until this recipe, I had never made a dump cake. I admit, I was a little skeptical. 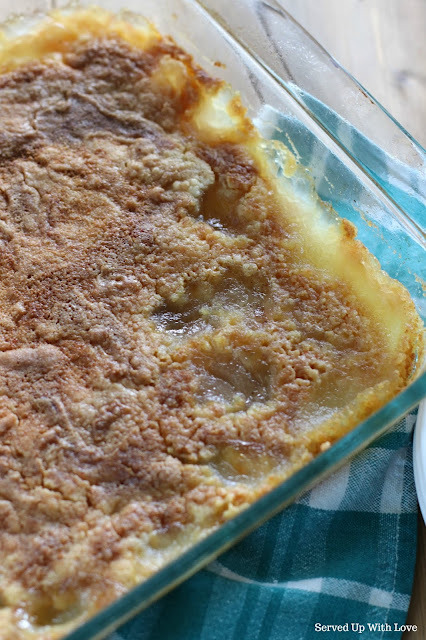 This Apple Cobbler Dump Cake was the easiest dump cake recipe I could start off with. I really don't know why I was so skeptical, this turned out amazing and it couldn't have been any easier! 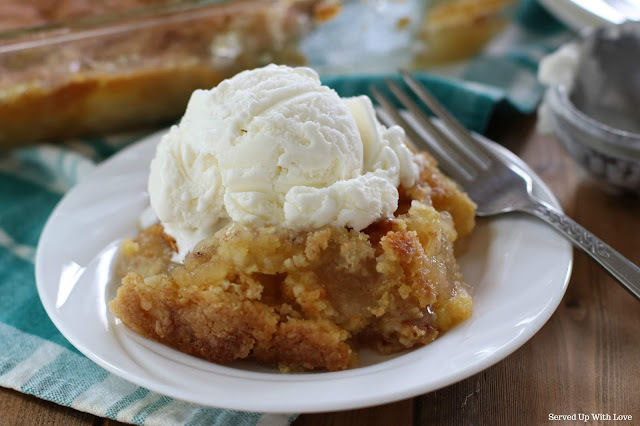 And what is cobbler without some ice cream on top? Serve it warm with a good scoop of cool and creamy vanilla ice cream on top and just wait for the oohs and ahhs! 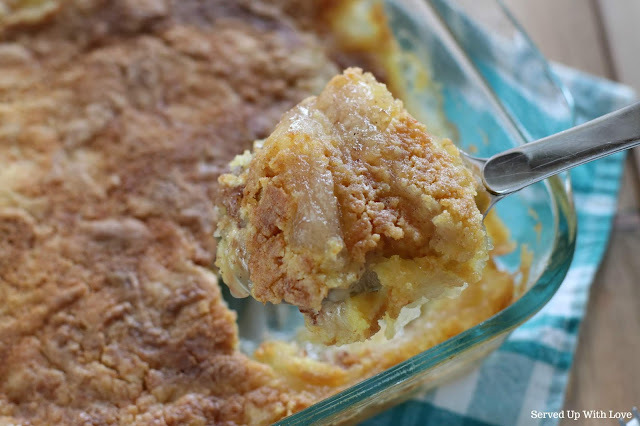 Add this to your holiday menu and I bet your guests will ask for the recipe. Easy to make 4 ingredient Apple Cobbler Dump Cake. 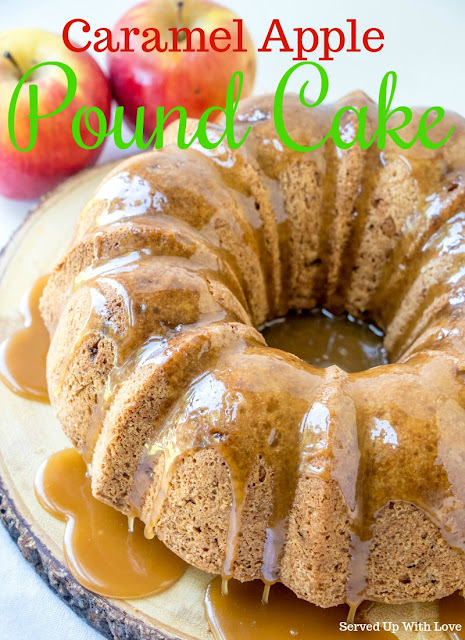 One of the best fall desserts! 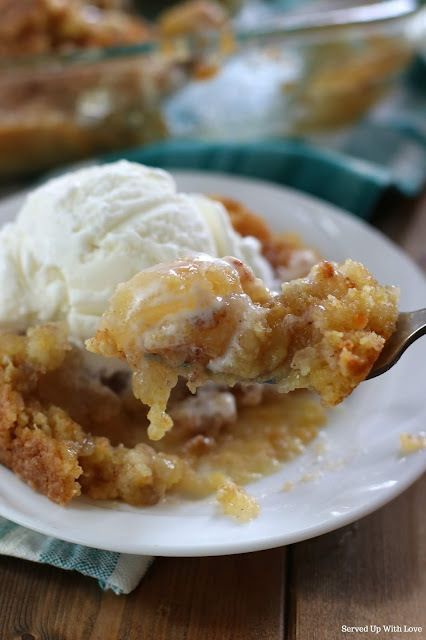 Pour the two cans of apple pie filling into the bottom of a 9 x 13 casserole dish, sprinkle with cinnamon, cover with dry cake mix, drizzle melted butter all over the top of the cake mix. Bake at 350 degrees for 45 minutes to an hour. 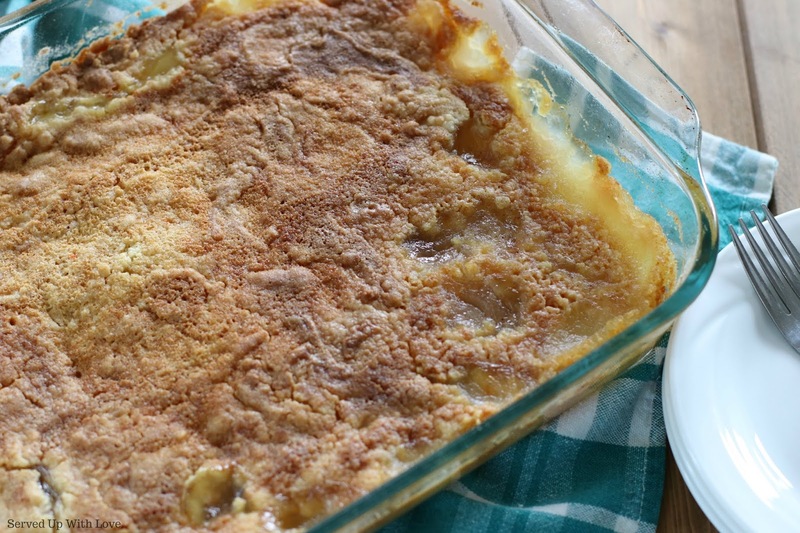 have you tried to make it with fresh apples instead of canned? 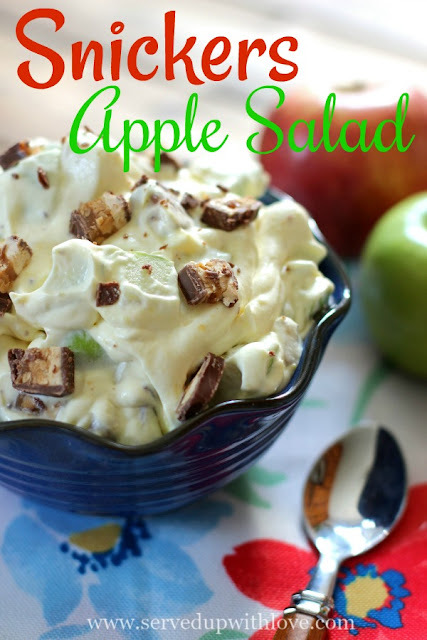 I haven't tried it with fresh apples but I am sure they will work just as well.